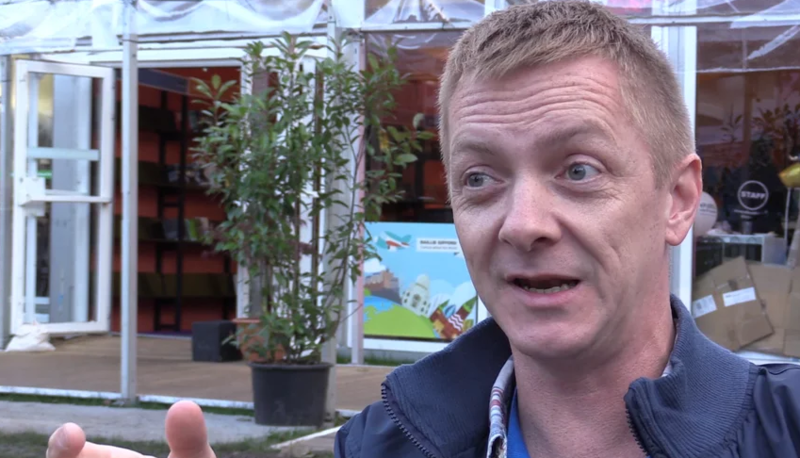 Ricky Brown interviews Doug Johnstone about his crime novels, writing process and the importance of setting at the Edinburgh Book Festival. Once a nuclear physicist, Doug Johnstone is now a successful writer and freelance journalist (and blogger) based in Edinburgh. In 2006, the Sunday Herald hailed him as one of Scotland’s finest new talents. Tombstoning (2006) was followed by The Ossians (2009) – two thrilling and thoughtful novels. Ian Rankin said of The Ossians: ‘[Johnstone’s] descriptions of ‘peripheral Scotland’ were telling and accurate … The book kept me guessing and I was genuinely sorry when there was nothing left to read’. The Ossians features one of Johnstone’s biggest passions – music. He’s a singer, songwriter and instrumentalist in his band Northern Alliance, which has become something of a cult hit. Doug Johnstone’s new novel, The Jump, features a mother trying to seek redemption in the wake of her son’s suicide.